Posted on 27, December 2017 by EuropaWire PR Editors | This entry was posted in Internet & Online, Technology, Telecom, United Kingdom and tagged EE, Finlay Carson, Galloway, Marc Allera, superfast 4G mobile sites, UK mobile operator, West Dumfries. Bookmark the permalink. LONDON, 27-Dec-2017 — /EuropaWire/ — EE, the UK’s largest mobile operator and part of the BT Group, today switched on eight new superfast 4G mobile sites in the Galloway and West Dumfries area. The new sites provide 4G to large sections of roads that previously had no mobile coverage, including the A702, A713, A716, A747, A746, B793, B7005, and the B7052. The 4G coverage expansion is part of EE’s ongoing investment to provide coverage for the new Emergency Services Network, which will connect 300,000 UK emergency services personnel. Local residents, businesses and tourists in Drummore, Rhins, Port Logan, Mochrum, Parton and Loch Ken will now be able to access 4G – some for the first time in the area. 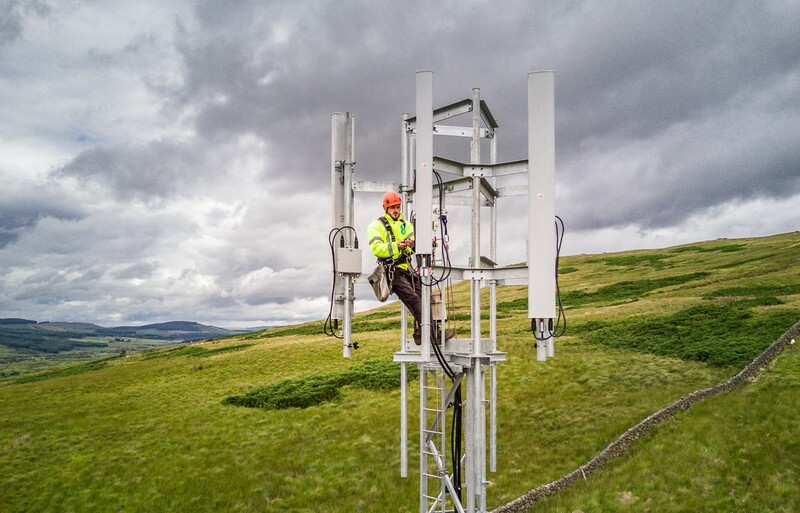 Across the UK, EE is building and upgrading more than 100 sites to 4G every week as part of its network expansion. Some of these sites add new coverage while some increase signal strength, capacity and reliability in areas with existing coverage. EE’s 4G network, which covers more than 85% of the UK geography, has the fastest 4G speeds for streaming, downloading and video sharing. To learn more about EE’s indoor and outdoor 2G, 3G and 4G service, customers can use EE’s online Coverage Checker. With EE’s Network Status Checker, customers can also set tailored alerts for places important to them, such as their place of work or home, and they will receive personalised alerts if there are network issues. The first smartphones to benefit from Enhanced HD Voice on EE are Apple iPhone 8 and iPhone 8 Plus, with further smartphones to be enabled in the coming months. EE runs the UK’s biggest and fastest mobile network, offering superfast 4G in more places than any other operator after pioneering the UK’s first superfast 4G mobile service in October 2012. Today, EE has more than 600 shops across the UK, and EE’s 4G coverage extends to more than 86% of the UK’s landmass.